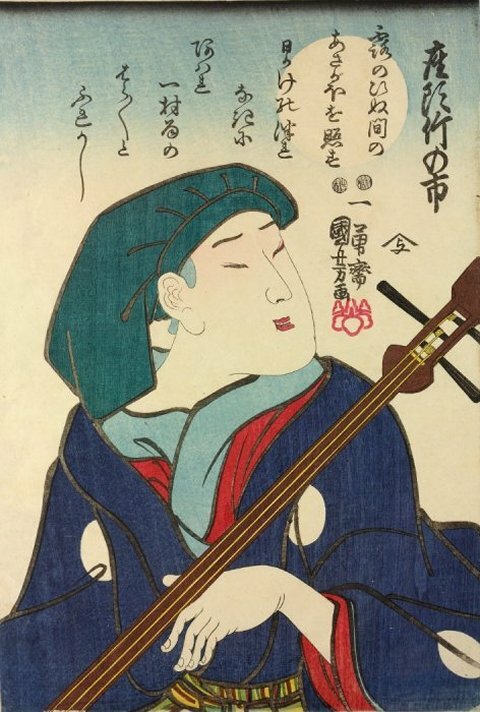 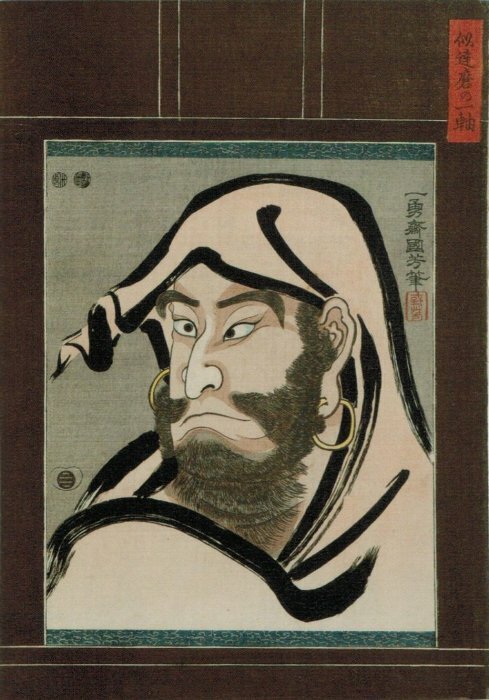 NOTE: Although this print could pass as a Buddhist image of Daruma, the title, Ni Daruma no ichijiku, refers to the tale that was adopted for the kabuki play Takagi Oriemon budôitsu roku, in which actor Nakamura Utaemon IV starred. 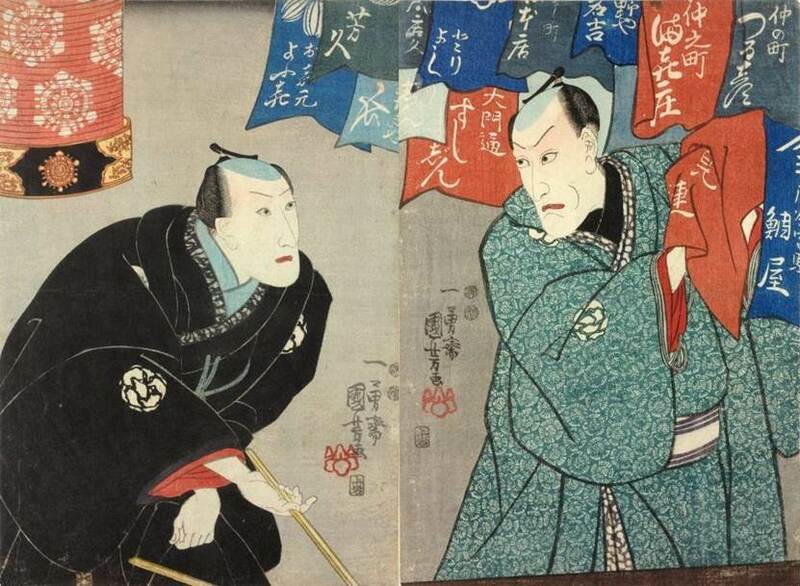 NOTE: The ghost is seeking revenge on the cruel samurai lord who had him crucified for protesting unfair taxes. 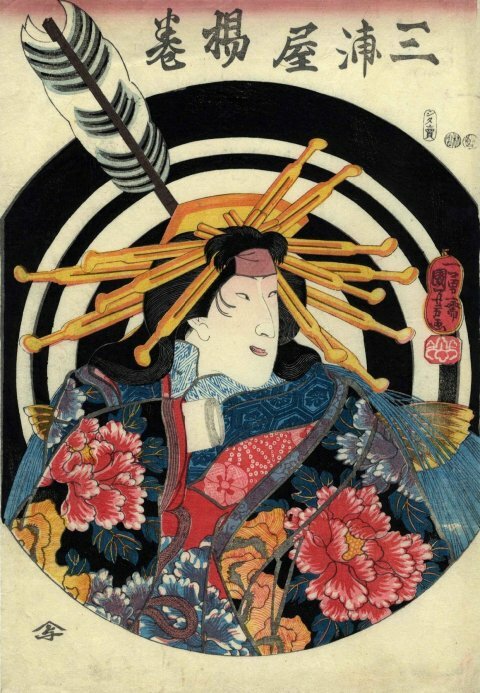 NOTE: Each sheet bears the title “Mirror of the Loyal Courage of the Faithful Retainers” (Chûshin giyû kagami, 忠臣義勇鑑). 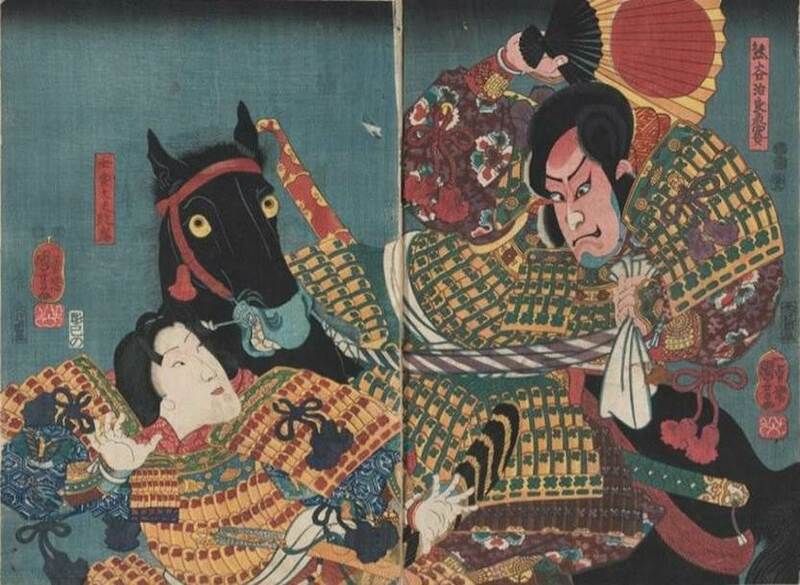 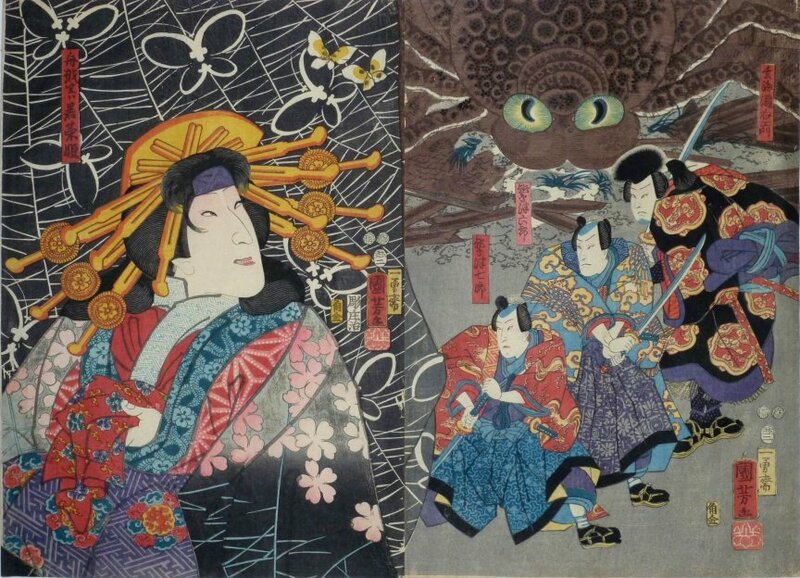 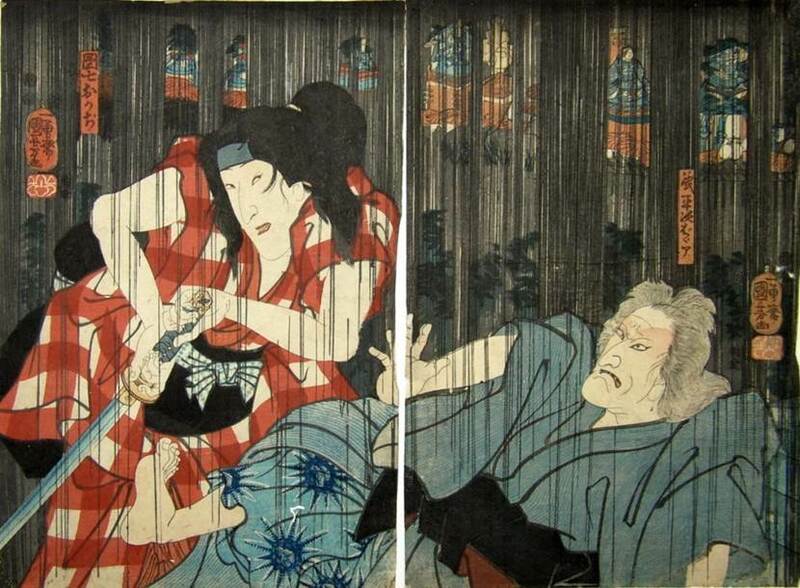 The sheets are listed as series 206 in Kuniyoshi by Basil William Robinson (Victoria and Albert Museum, London, 1961). 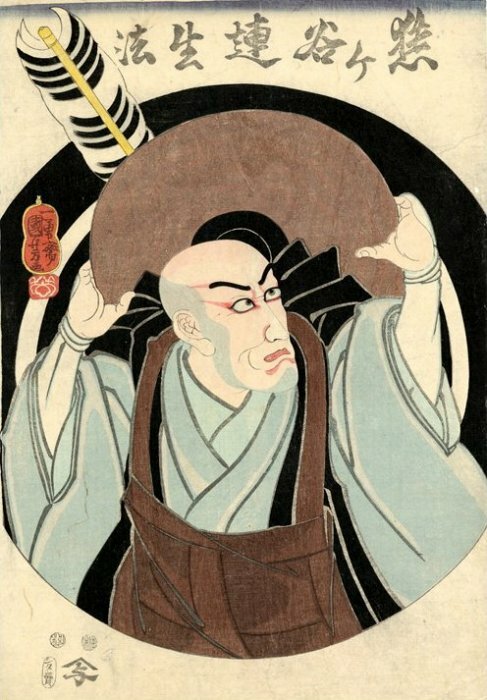 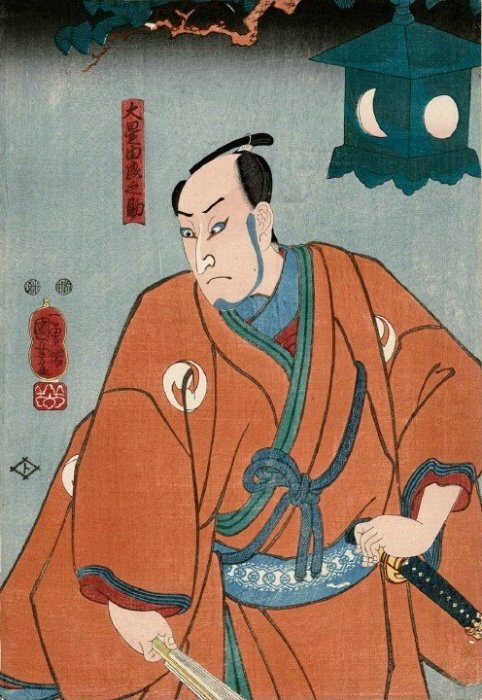 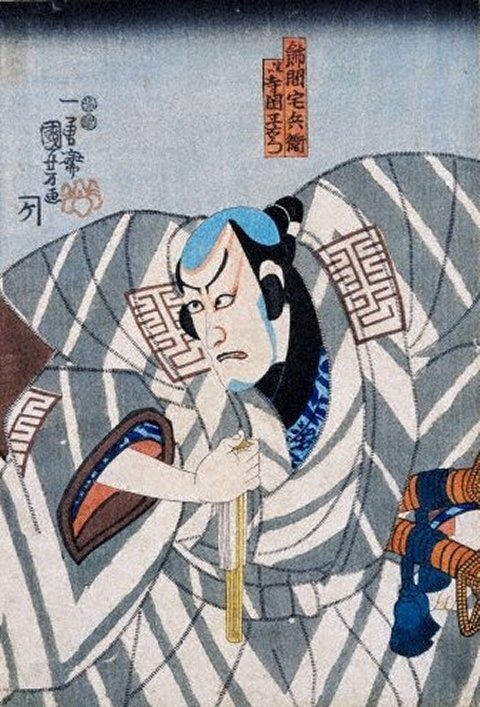 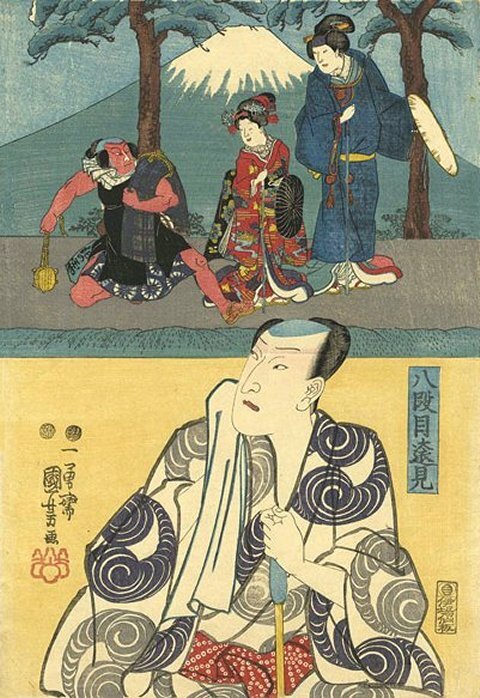 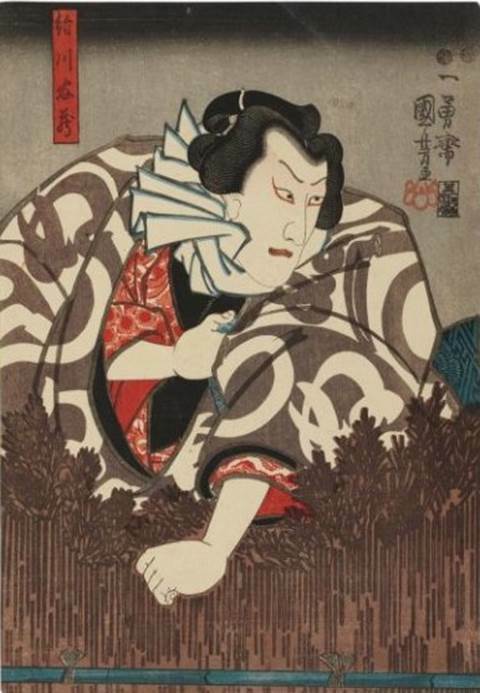 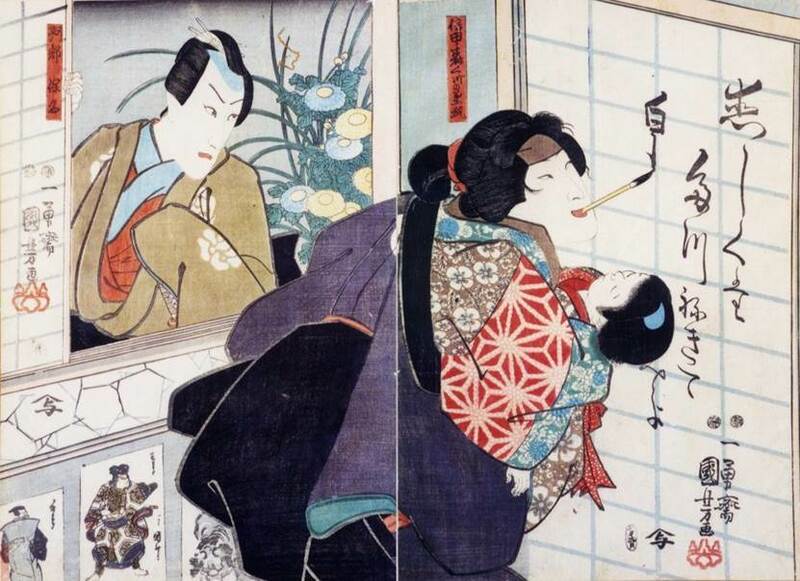 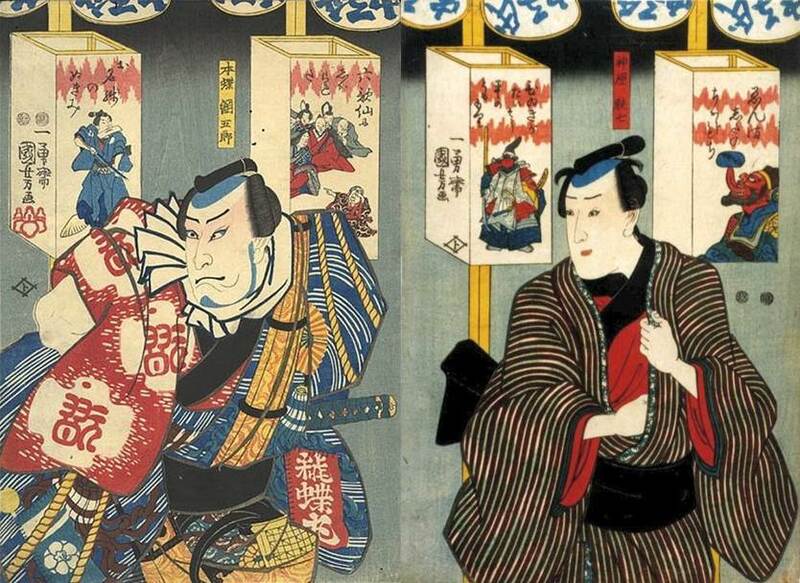 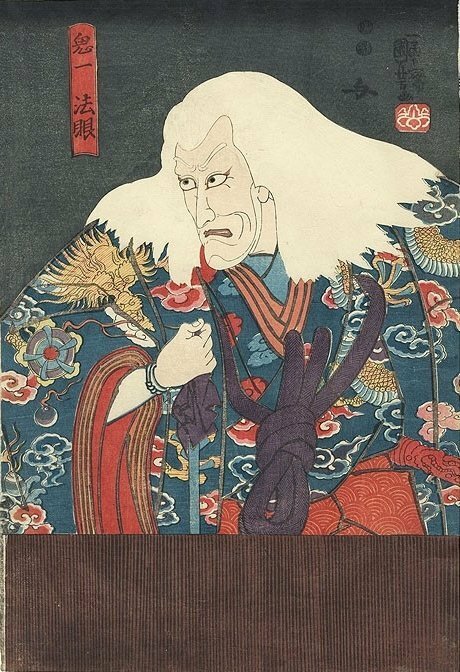 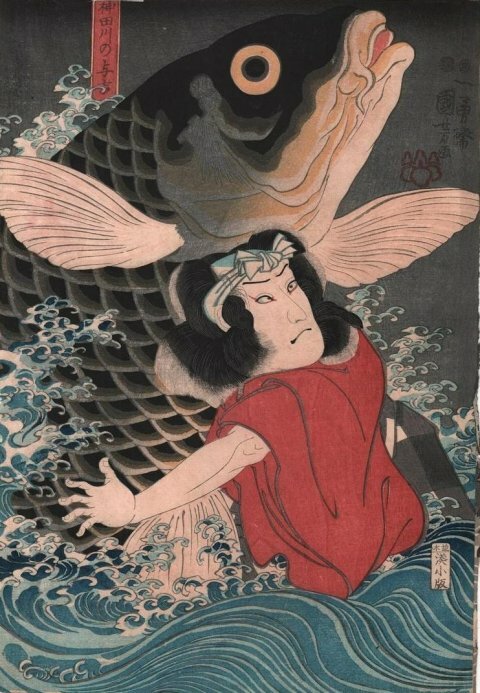 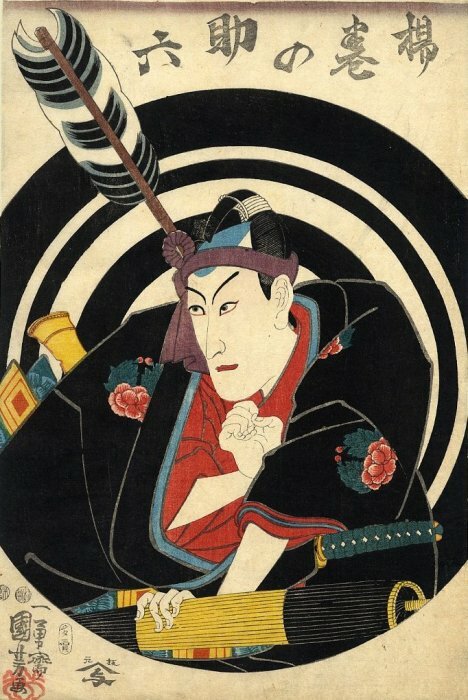 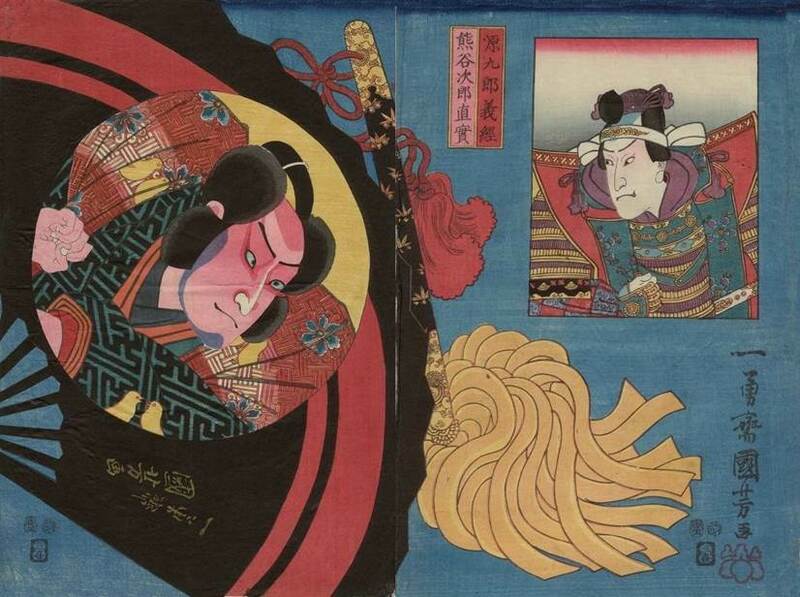 NOTE: Ichikawa Danjûrô VIII played nine different roles in this production. 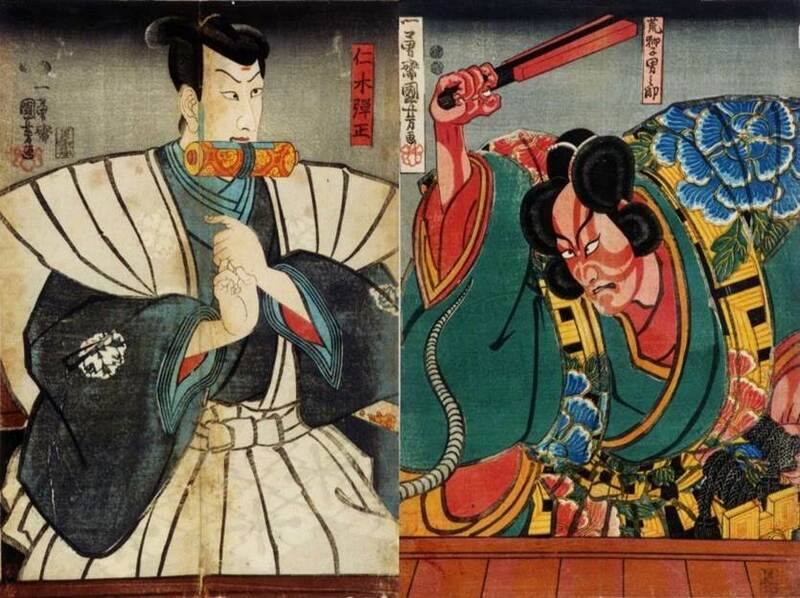 Two different states of the left-hand sheet are shown.